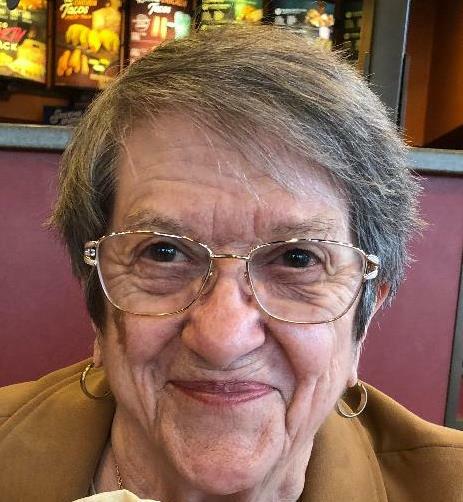 Lightle-Freeman, Dolores Ann age 81 passed away January 14, 2019 in Ashland, OR. She is preceded in death by her parents, Grace Woodruff Swann and John M. Vierra, sister, Loretta Rudy, first husband, Donald E. Lightle, son, David L. Lightle, and grandson, Joshua M. Lightle. She is survived by 4 children who were all at her bedside, Michael (Susan) Lightle, Tipp City, OH, Susan (Bill) Robinson, Ashland, OR, Teresa (Brady) Westmoreland, Ashland, OR and Matthew (Kristen) Lightle, Troy, OH. She is also survived by daughter in law, Chen Ya Lightle, Tipp City, OH, sister, Betty (Rick) Bernardi, Goodyear, AZ, niece, Cheryl (Jon) Shaneyfelt, Tipp City, OH, 9 grandchildren, 17 great grandchildren and many other nieces and nephews. Born on December 16, 1937 in San Jose, CA, she moved to Tipp City in 1956 where she raised 5 children. She was a Cub Scout Den Mother and Camp Fire Girl Troop Leader. She worked as a waitress at the Seven Nations, The Springs, The Holiday Inn and Dodd’s at the Dayton Airport.